Availability of accurate and up to date data and information on land and different land uses, such as agriculture, forestry, mining, wildlife, water, housing and infrastructure, is critical to effective land governance and crucial for planning and managing the use of land and land-based resources. Public institutions and the government need land data and information for appropriate and timely decision-making; while land users, the general public and other stakeholders need it to effectively monitor and influence those decisions. Land data and information is also critical for effective tracking of land policy implementation processes to inform lesson learning and generate good practices, as well as to ensure sustainable and equitable land investments. It is an often-repeated rhetoric that there is a lack of land data; either there is no data or the data that exists is unreliable or out of date. Collecting new data is a time-consuming and costly process. Data is collected and captured on a massive scale already, but research shows that of all existing data worldwide, less than 1% is actually analyzed and digested.1 With increasing digitization of information, increased use of internet in all parts of the world, and continuously growing demand for more data, the risk is that existing data is either purposely cast aside (as the source may be from outside our trusted networks) or simply overlooked. The current reality of land data is that in many par ts of the world, data remains inaccessible, fragmented, poorly managed or simply unusable. The Republic of South Sudan is a relatively young state in East Africa, becoming independent from Sudan in 2011. Despite being a young country, South Sudan has existed as a separate policy and law making entity for 15 years - first as semi-autonomous Southern Sudan during the Interim Period (2005 to 2011) and since 2011 as the independent state of South Sudan). The government adopted a Right of Access to Information Act in 2013, giving “every citizen the right of access to information, including electronic records held by any Public or Private Body”.2 The most significant policy and legislative developments in the land sector occurred during the Interim Period, climaxing in the enactment of the Land Act, 2009. The challenges of policy development since independence are best illustrated by the failure to complete the National Land Policy, the latest draft of which was approved by the Council of Ministers and presented to the National Legislative Assembly in February 2014. It has been pending there since. The country’s progress in policy and law making came to an abrupt and comple te halt in December 2013 with the breakout of the current conflict. For a state that has been plagued with a civil war, data and information collection, provision and publishing have understandably not been high on the government’s priority list, nor of other actors. However, we still focus on South Sudan as one of the four countries in East Africa for these pilot State of Land Information Reports, as the land data ecosystem of this young country is still in its beginning stages and growing, which hopefully provides opportunities to build up a healthy data and information ecosystem from its beginning stages. With this State of Land Information Report, we seek to provide an overview of publicly available data and information on key land issues, from not only government, but also other sources. The aim of the research is to uncover the many different sources of land data and inf ormation at the country-level and help to identify actual data and information gaps, with a view to establishing a baseline for targeted ‘information-based’ interventions to improve the information ecosystem. What sets this research apart from other monitoring initiatives, is that the focus is on the database or datase t and its sources; the value or content of the inf ormation is not our main f ocus. Our belief is that data quality, accuracy and reliability lies in the judgement of the user . For the very first time, we look at the entire landscape of a countr y to see trends and gaps when it comes to land data collection, as w ell as how accessible it is on the world wide web. The State of Land Information report concludes with -where necessary- concrete recommendations to data and information providers to improve their data sharing practices, to help establish a functioning, inclusive and democratized ecosystem of data. 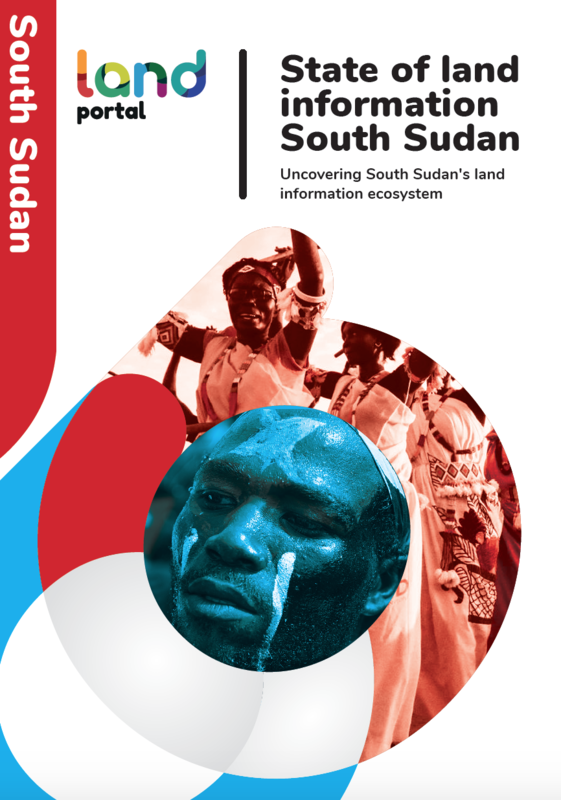 Access the full Matrix now and contribute to the scoping of existing data and information sources in South Sudan!